Gingerbread Maple sounded interesting and a candle I purchased on sale. Truth be told, I’m not a huge fan of spicy gingerbread scents but I was curious what this candle would smell like with the added maple to the mix. 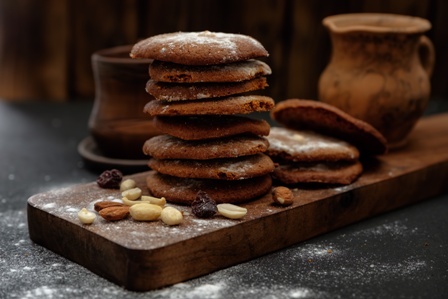 So, gingerbread cookies. The picture on the label shows a gingerbread whoopie cookie with marshmallow sandwiched in between the two cookies. Looks yummy, and sounds yummy. What I smelled? A spicy gingerbread mixed with swirls of vanilla. Cookies? Maybe. I didn’t really smell maple though but who knows what fragrances will come to life once the candle is burning. I lit this candle in a small powder room and waited for the magic to begin. It took a good 5 hours to reach a full melt pool and the aroma… light but very nice and that surprised me. I went into this review thinking I would be disappointed, but the scent actually smelled really good. The main part of this aroma was a gingerbread cookie with lots of vanilla. It wasn’t super spicy at all like many gingerbread scents can take on, it was more of a warm bakery with hints of gingerbread. Very nice. The only downside and expected with this brand… the scent was super light. Strength – I would rate this candle a 6/7 out of 10 in a really small bathroom. That’s decent but not really strong enough to fragrance anything larger than that. This candle burned fine. No wick issues other than trimming before each lighting. Clean burning from start to finish. I enjoyed Gingerbread Maple from Yankee. To me, this fragrance was a warm gingerbread cookie that was perfect in a small room. I didn’t really smell maple nor anything too spicy and I was perfectly fine with that. 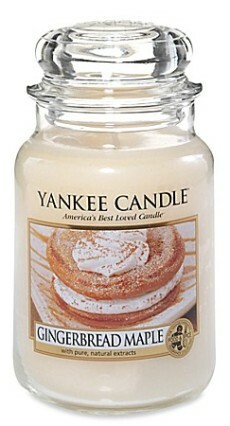 So, if you still shop Yankee, definitely check this candle out next time you’re out and about. It’s definitely worth a sniff.